How do medicinal waters exert their effects? The custom of bathing was already widespread among cultures of a certain level of development during ancient times, while in places like Babylon, Assyria, Persia, and the Indus Valley, baths also played an important role in religious ritual. Regular, purposeful bathing – what might be called “bathing culture” – first grew out of Eastern ritual hygienic practices during the times of the Greeks and – to an even greater extent – Romans, who were additionally acquainted with the waters’ power to treat certain illnesses. It was also the Romans who constructed the first large-scale public bath houses, which, headed by doctors, were where much of Roman public life was conducted. Large numbers of baths were located not only in Rome, but also in other cities of the Empire. In fact, the Romans generally built their cities over hot springs, such as those at Aquincum, the capital of Pannonia, which now lies within the Budapest municipal limits. The choice of sites was no accident: Hungary’s special balneological features make it extraordinarily rich in mineral and medicinal waters. In fact, it is the fifth richest country in the world, after Japan, Iceland, Italy, and France, in sources of thermal water. In Japan and Iceland, spa waters are extremely warm, but low in mineral content, while in Italy and France, it is the other way around, they are high in mineral content but water temperatures fail to even approach to those enjoyed in the Carpathian Basin. 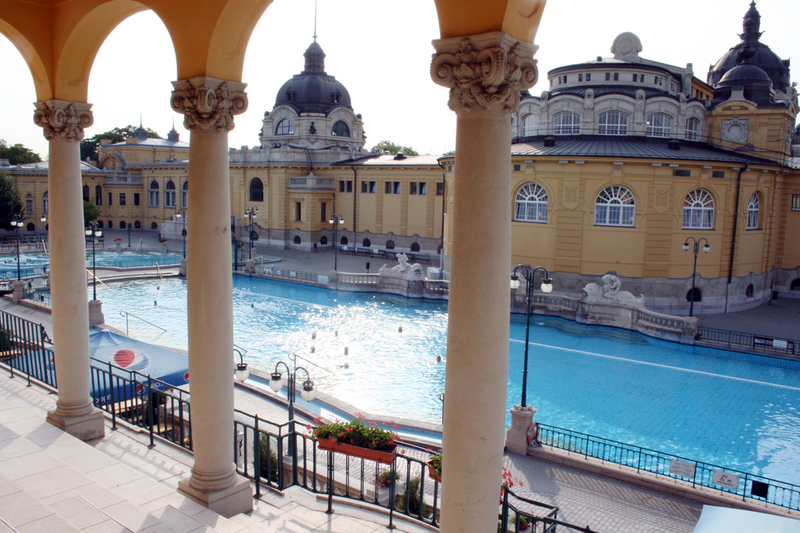 Hungarian thermal waters are simultaneously high in temperature and mineral content, making the country’s thermal resources unique in the world. 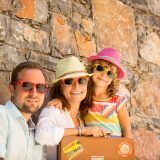 In no other region does one find high-quality thermal and medicinal waters that can treat or prevent so many different illnesses. 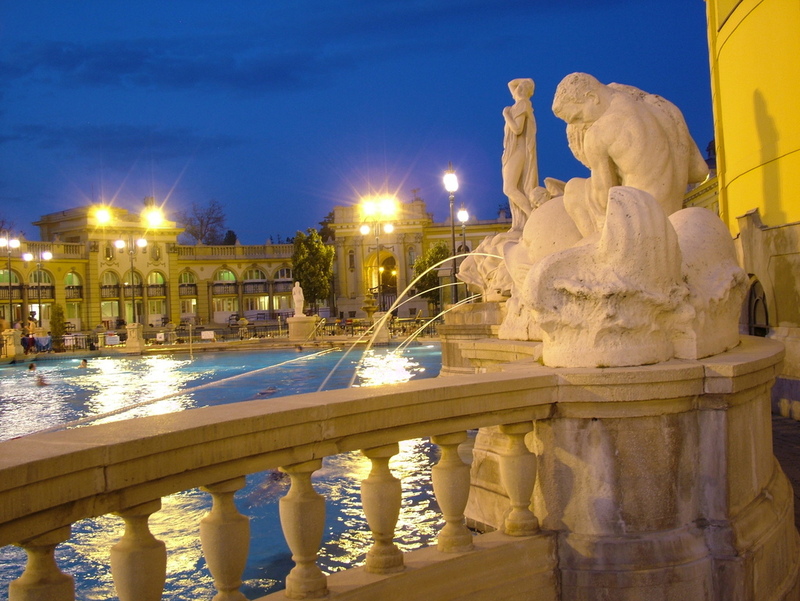 The country boasts approximately 150 warm-water medicinal thermal baths, 36 of them containing special substances (radioactive components, sulphurous acid, salts, bromine, carbonates, or iodine), including 19 official sources in Budapest, a city below which one finds both caves and, erupting from them, hot springs. 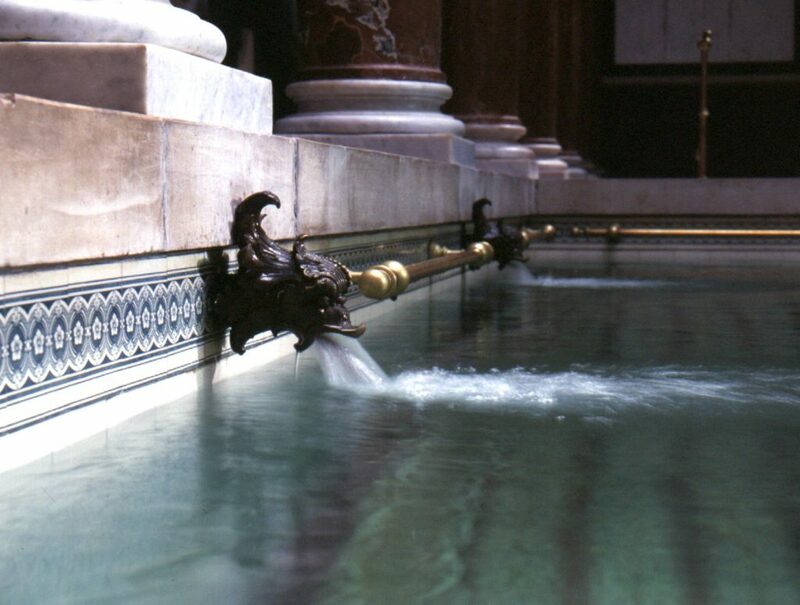 Bathing culture was first introduced in Budapest by the Romans. Archaeological excavations in Aquincum have unearthed nearly 20 private and public baths, including elements typical of both cold- and hot-water pools. Written sources show that bathing culture continued to flourish in the Middle Ages during the time of King Matthias, when bath houses, frequented the king himself, were dubbed “royal baths,” and even peasants and viticulturalists enjoyed regular use of the warm waters that collected in the holes around springs. 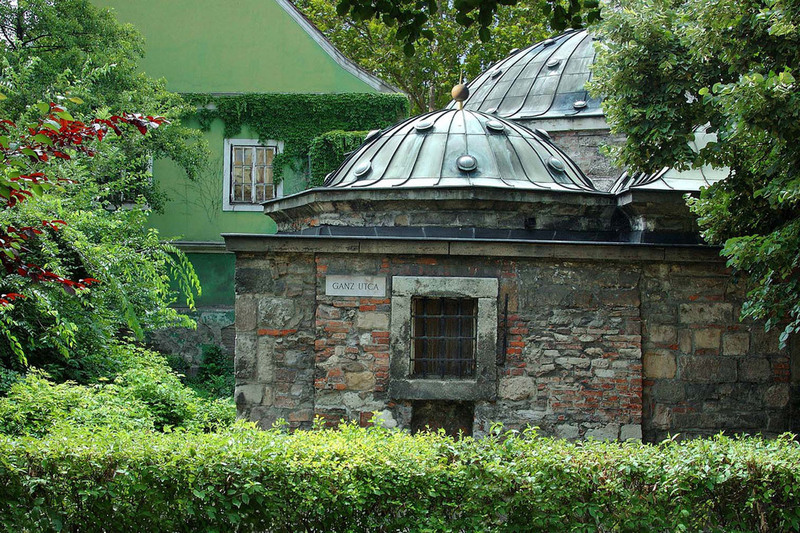 These baths gained renewed popularity during the 150-year period of Ottoman Occupation, when the bath houses were among the most renowned and valued buildings in Buda. The Turks, who distinguished between natural thermal baths and what are known as steam baths (constructed using man-made heating systems), founded eight new bath houses in Buda along the right bank of the Danube. Of these, the Rudas on the Danube bank (formerly known as the Green-Columned Bath), the Rác (the “little bath”), the Király-fürdő (or Royal Bath, constructed by Mustafa Sokollu in the second half of the 16th century), and the Császár-fürdő (formerly the Veli Bej Bath, also constructed by Mustafa Sokollu and once the most elegant of all the bath houses in Buda) are still in operation today. With the end of the Ottoman Occupation, the high age of bathing culture faded and the condition of the baths themselves fell into decline. The third great flourishing of the Buda bath houses arrived with the Enlightenment, when the facilities drew appreciation for both their hygienic and recreational uses, though their therapeutic potential had also come to light. The year 1812 was the first for which information on the healing properties of thermal springs – data used to draft the country’s first hydrography – was gathered. In the second half of the 19th century, Budapest again experienced a resurgence in bathing culture, one that brought with it the drilling of new wells, the construction of new bath houses and the renovation of existing ones, the foundation of societies and associations for the popularisation of medicinal waters, and the development and promulgation of the practice on a larger scale. It is common knowledge that immersion in water makes one feel lighter and allows the limbs to move more freely. This is particularly noticeable to those with damaged, worn, or diseased joints. As one moves, the water exerts a soothing, massaging effect. If the water is tepid or even pleasantly warm, it causes tightened muscles to relax and arteries to expand, improving circulation. Beyond these physical effects, thermal and medicinal waters also exert various chemical effects due to the dissolved mineral substances they contain. These mineral salts are absorbed through the skin to enter the blood circulation, which carries them to within proximity of every cell in the body. Once there, they strengthen the immune system, replenish substances that are essential to healthy muscles and joints, benefit the body’s ability to react, and promote various self-healing processes. 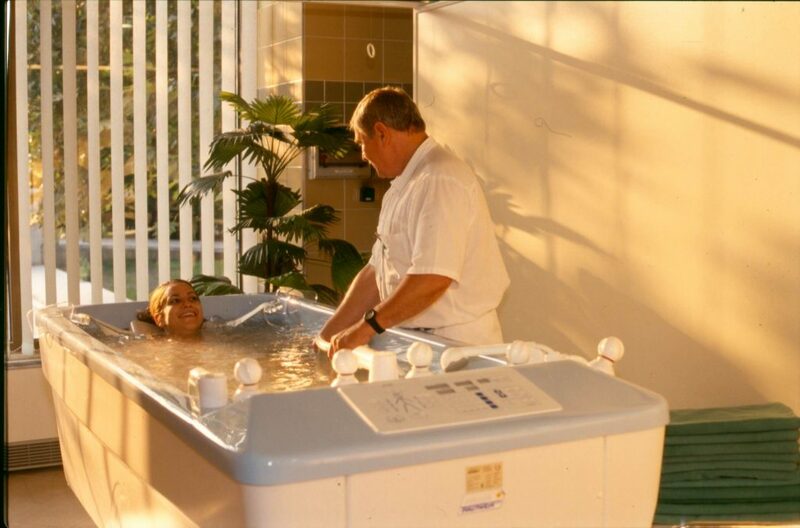 One of the most important physical properties of medicinal waters is temperature. Tepid baths of 21-31°C act to calm the nervous system, while warmer waters of temperatures ranging from 32 to 37°C prompt the blood vessels in the skin to expand, increasing cardiac and respiratory rates. In medicinal baths, this heat expands the pores in the skin as well, allowing the mineral substances in the water to enter the bloodstream, where they strengthen the immune system, promote lymphatic circulation, and in this way, initiate healing processes in the body. The warm water helps release painfully cramped muscles, alleviate joint aches, and speed the excretion of wastes. 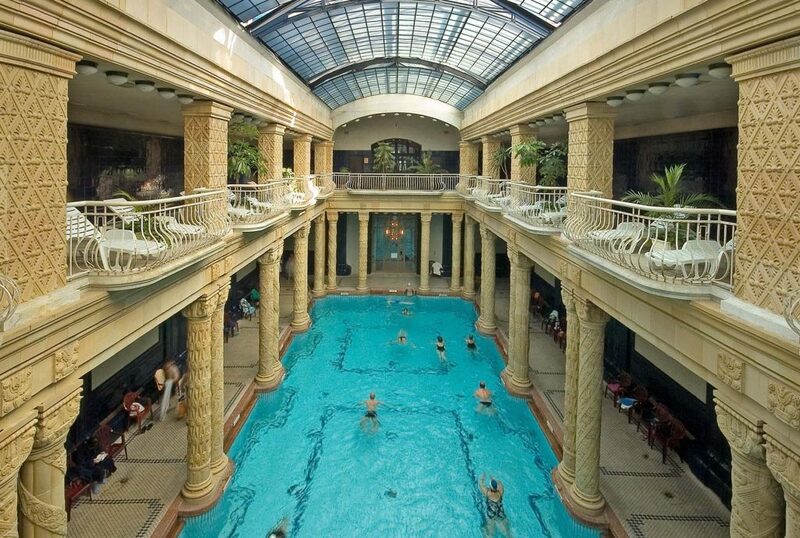 The warmest thermal bath in Budapest is found at the Rudas (42°C). 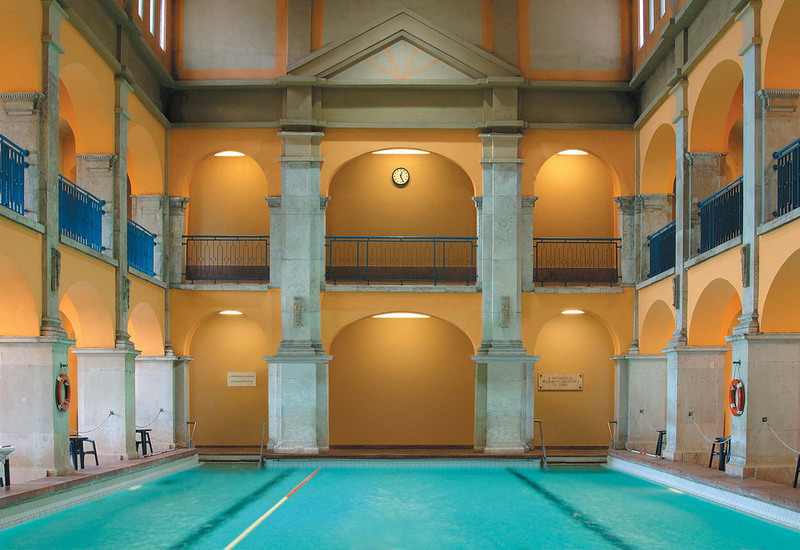 Of pools intended for swimming, the coldest is the outdoor men’s pool at the Lukács (22°C), and the warmest, featuring medicinal waters of 29°C, is the Rudas’ indoor medicinal pool. Of the baths constructed in locations formerly occupied by the Ottoman Empire, most of the ones in original or near-original condition are found in Buda. 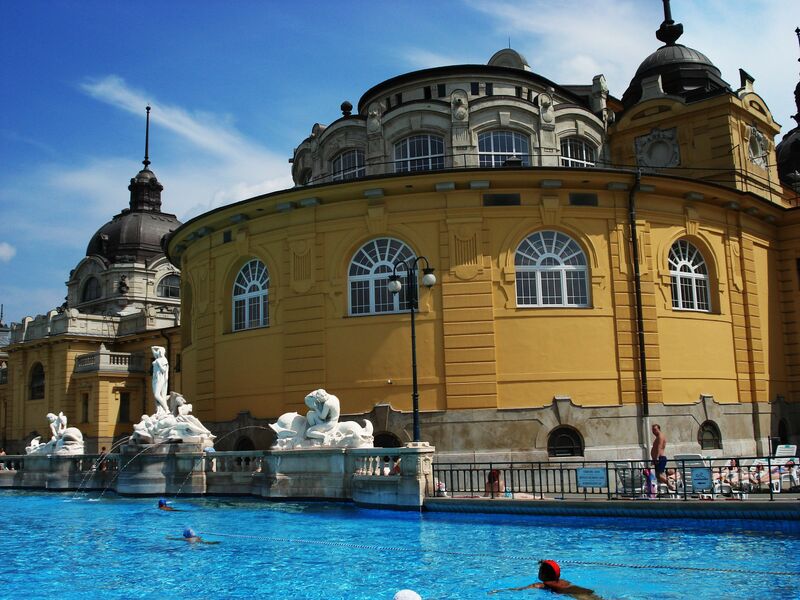 The Király, the Irgalmasok Veli Bej, and the Rudas Medicinal Bath, for example, are all still in operation and welcome bathers in Budapest, while the Rác is set to reopen its doors in the future. Constructed near natural heat sources, these baths have all remained open with only intermittent breaks since Ottoman times, and despite the necessity of occasional renovations, have remained faithful to their traditional Turkish external and internal designs. Located at the intersection of Fő utca and Ganz utca, the family-friendly Király began in 1565 as a construction project of Arslan, erstwhile Pasha of Buda, that saw completion only under his successor, Mustafa Sokoli. 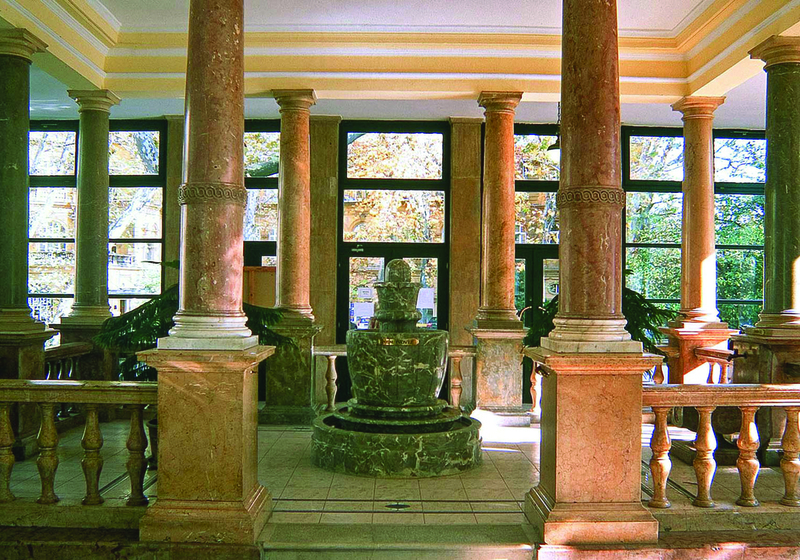 Absent a warm water source of its own, the facility’s medicinal pool uses water piped in from the vicinity of what is now the Lukács Bath. In 1796, following the recapture of Buda, this bath entered the possession of the König (Király) family, who oversaw its full reconstruction while ensuring that the historic character was preserved. Though damaged during the Second World War, the posh building was again renovated in 1950. A recent announcement indicates that yet another full renovation is slated to begin in 2019, with bathing enthusiasts gaining eventual access to the beautifully restored structure as soon as 2020. 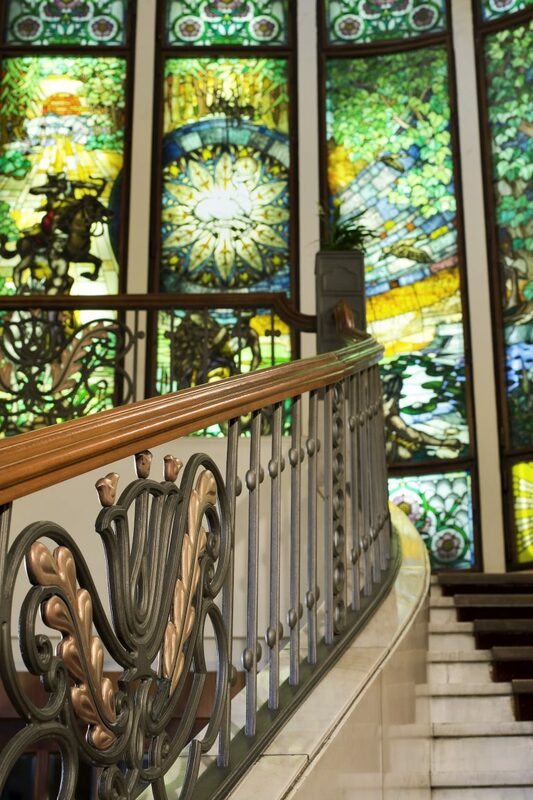 The Király complex offers 3 medicinal pools (of 32, 36, and 40°C), an immersion pool, a Jacuzzi, and a hot tub, along with classic therapeutic services (healing massage, aroma massage, and hydro massage). The medicinal pools are filled with thermal waters containing calcium, magnesium, hydrogen carbonate, sodium, sulphate, chloride, and a significant quantity of fluoride ions, all recommended for the treatment of problems of the joints and locomotor functions. One of Budapest’s oldest baths and part of the venerable Császár Bath complex, the Irgalmasok Veli Bej Bath is currently operated as a unit of the Irgalmasrendi (Order of Saint John) Hospital. 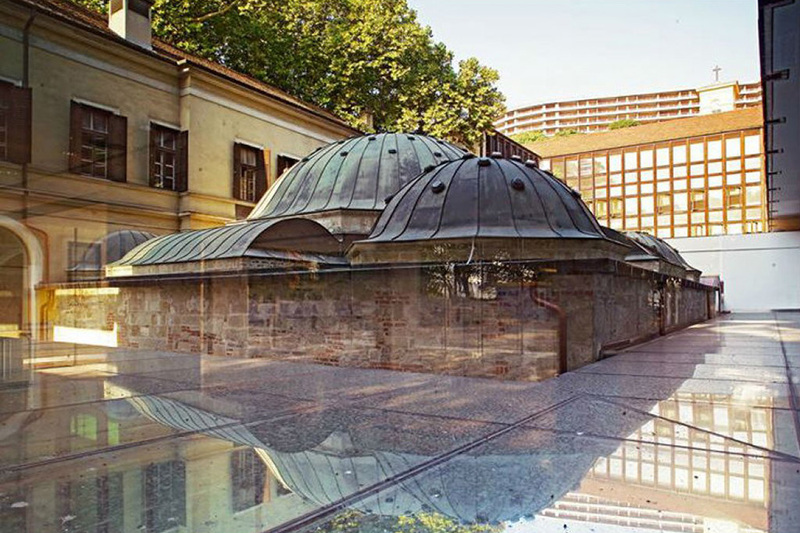 It is one of the most beautiful Turkish baths in Budapest, whose traditional Turkish section consists of 5 pools: an octagonal central pool with water of 36-38°C, and four additional smaller pools of various temperatures located in four adjacent bathing cabins. Given the speed with which the medicinal waters flow into and out of the central pool, the water quality remains constant and does not require the addition of chemicals. A brand new wellness section is also open to visitors, offering a Jacuzzi, two steam cabins, Finnish and infrared saunas, hydro massage units, an ice machine, hydroxeur and underwater jet tubs, a Kneipp course, a swimming pool, and massage services. The bath is closed by tradition from 12:00 p.m. to 3:00 p.m. 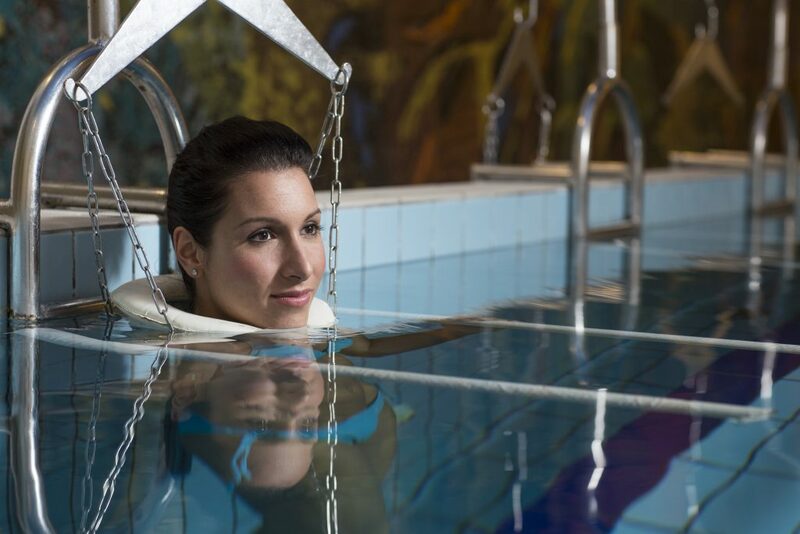 The spa’s medicinal waters are recommended for problems of the joints and spine, osteoporosis, neurological pain, superficial injuries, and post-operative rehabilitation. 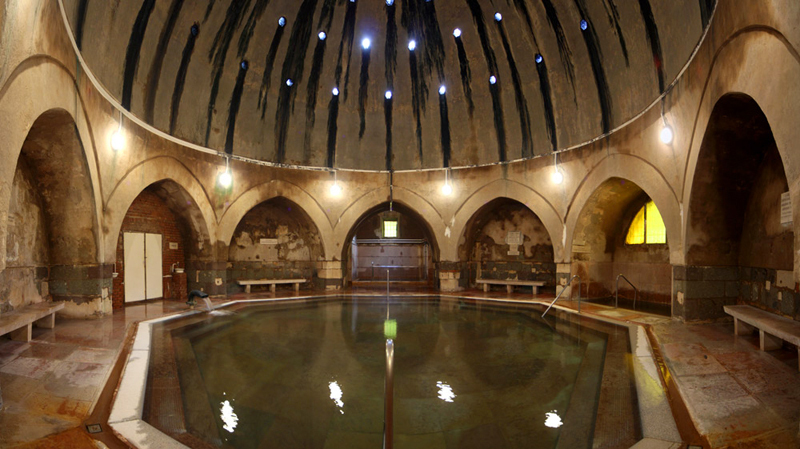 The construction of the Rudas Bath is linked to Mustafa Sokoli, Pasha of Buda, whose project was so successful that the bath, whose construction began in 1566 and completed in 1572, have been in continuous use ever since, the latest renovations having finished in 2014. At the core of the building is a Turkish octagonal bath set in a room of highly unusual construction, whose eight columns are topped by a hemispherical dome pierced by minute skylights. Even today, the Rudas adheres to the tradition of different bathing days for men and women: in the Turkish section, women may bathe on Tuesdays, while men are accorded Mondays, Wednesdays, Thursdays, and Fridays, with coeducational bathing permitted only on weekends. 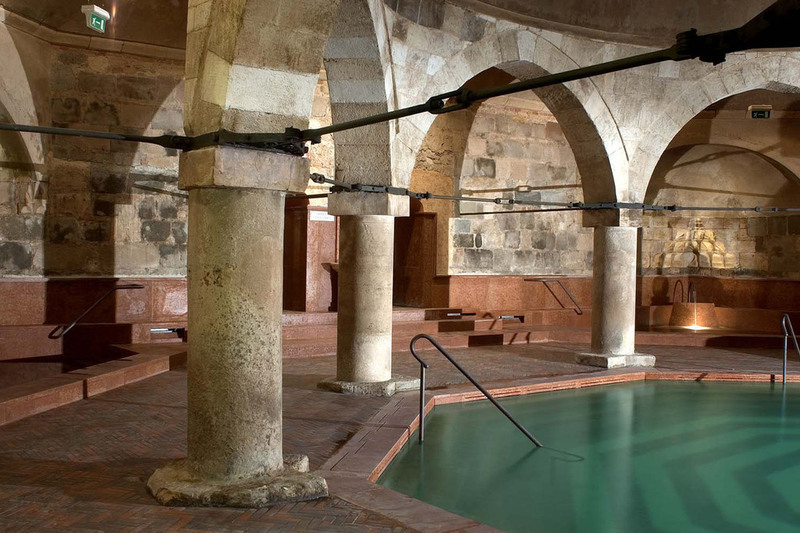 In addition to the five medicinal pools, three hot dry air rooms, a camomile-scented steam room, soap-and-water massage area, and all-original architecture of the Turkish baths, the Rudas naturally offers a wellness section as well, replete with its own medicinal waters and a variety of saunas. Those prohibited by gender from entering the Turkish bath can relax and unwind in the wellness area. The waters at the Rudas contain sodium, calcium, magnesium, hydrogen carbonate, sulphate, chloride, and a significant quantity of fluoride ions, all recommended for the treatment of problems of the joints and locomotor functions. 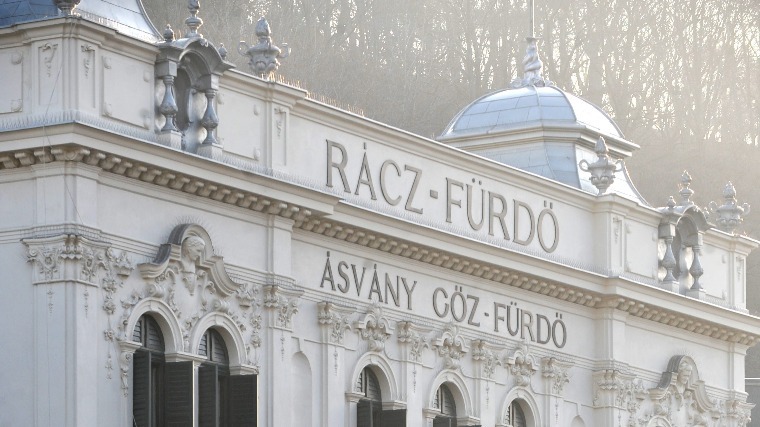 What is likely the oldest Turkish bath in Budapest is not currently open to visitors. Located in the Tabán area of the city’s 1st District, the Rác’s waters are drawn directly from a spring below the bath and contain mainly calcium, magnesium, hydrogen carbonate, and sulphate chloride, effective in the treatment of joint and spine conditions, vertebral disk injuries, neuralgia, circulatory disorders, and asthma. 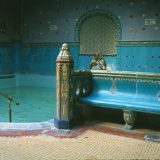 The city of Budapest boasts three bathing complexes – the Lukács, Gellért, and Széchenyi Medicinal Baths – that enjoy protection as historic buildings. Though not directly linked to the Turkish tradition, all are notable both for their architecture, and their history. In the 12th century, the area where the Lukács Bath is now located was occupied first by nursing and patient-caring members of the Order of Saint John, then by the Knights of Rhodes and Malta, who constructed baths as part of their monastic holdings. Though still in operation at the time of Ottoman rule, it was found that the energy from the area’s springs could be applied to greater advantage to produce gunpowder and grind grain. The choice to operate a mill at the site meant that no authentic Turkish bath was ever constructed there. It is claimed, however, that the 30-metre-deep mixed thermal waters of János Molnár Cave offer the highest quality of any bath in Budapest. 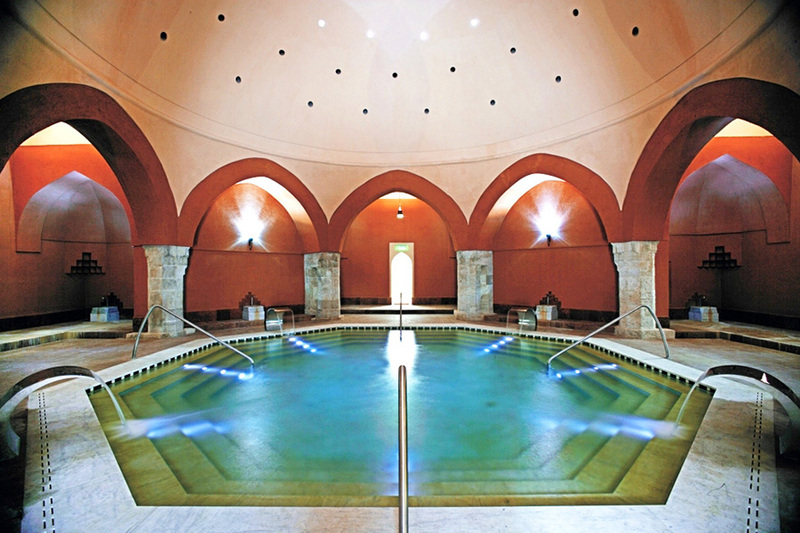 Its healing effects are enjoyed by visitors to the domed thermal baths of the Lukács complex, which offer three pools, hot dry air and steam rooms, and – for the refreshment of body and spirit – a variety of wellness services, as well. While in Buda, the tradition of medicinal bathing has been enjoyed since the time of Ottoman rule, the inhabitants of Pest were forced to do without until as late as 1913. Though the south-east wing of Győző Czigler’s stunning building overlooking Budapest’s City Park was constructed in Neo-Classical style, its elements also bear the marks of the Neo-Renaissance. The swimming and poolside areas added when the building was enlarged in 1927, moreover, display features of the Renaissance style, and while the bath – despite its two-phase construction – gives the overall impression of architectural unity, taken as a whole, the style is essentially eclectic and historicising. 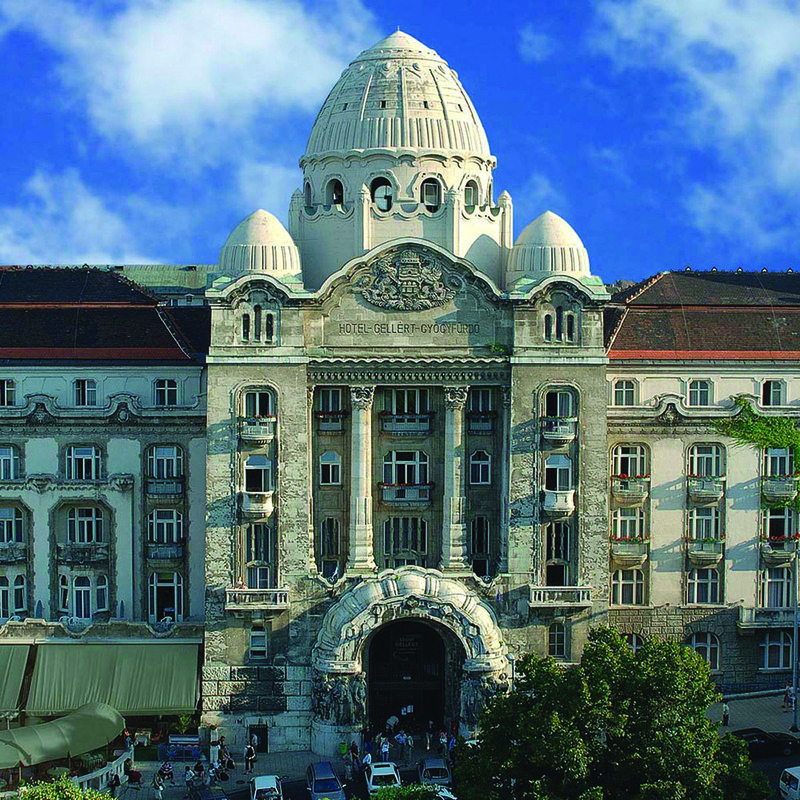 A water theme suffuses the building’s decorative elements: stylised water monsters, shells, fish, and mermaids crop up everywhere, making the bath – one of the largest such complexes in Europe – unique from an aesthetic perspective, as well. 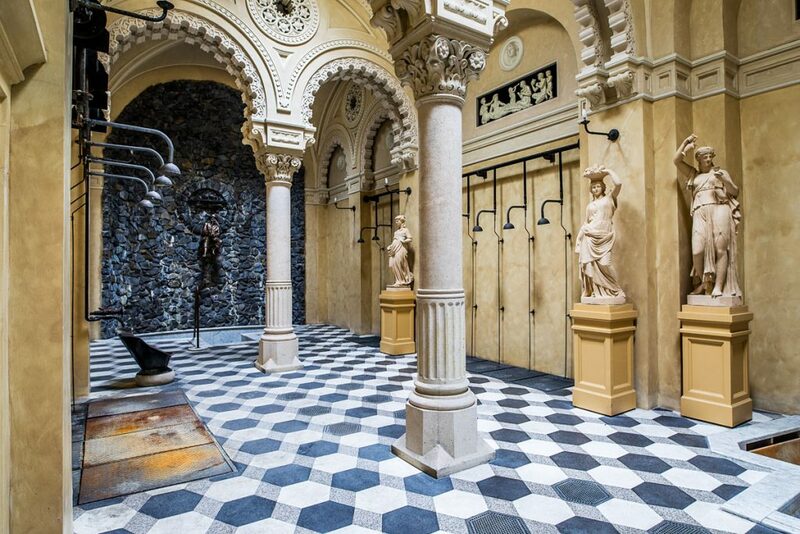 The medicinal waters of the Széchenyi Bath derive from Budapest’s second deepest source, the 1246-metre-deep Saint Stephen’s spring, and register a temperature of 76°C as they reach the surface. 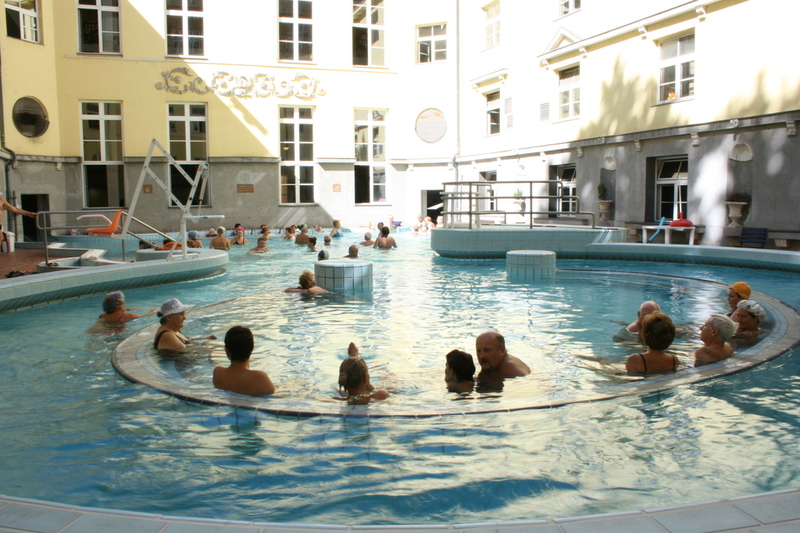 The thermal waters contain sodium, calcium, magnesium, hydrogen carbonate, sulphate, and significant traces of fluoride and metaboric acid and are recommended for wear-and-tear type deficiencies of the joints and spine, chronic articular inflammation, orthopaedic post-operative and post-traumatic rehabilitation, spinal injuries, neurological pain, and osteoporosis. Inside the bath are eleven different medicinal pools with steam rooms and showers, while the outdoor grounds surrounded by the buildings offer three swimming pools, a hydro fun pool, and a shallow “sitting” pool. 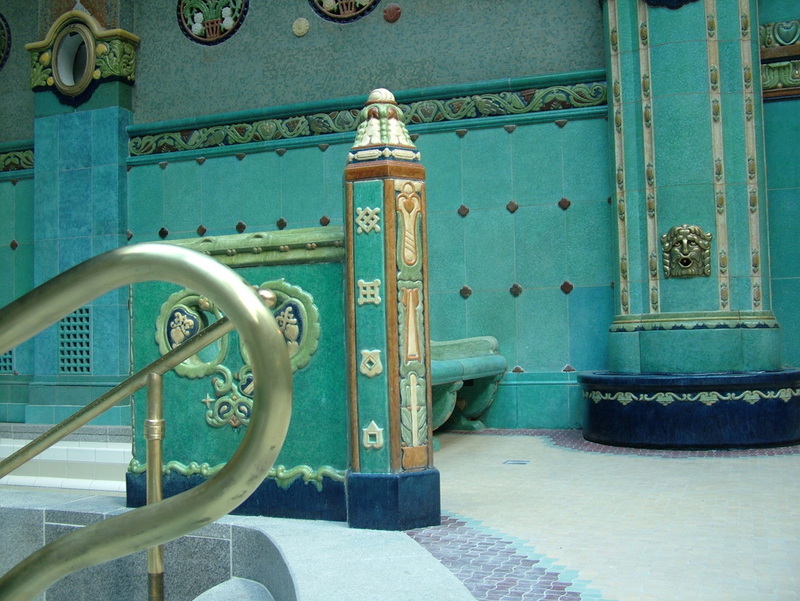 The complex of the Gellért Medicinal Bath is a masterpiece of Hungarian Art Noveaux, or “Secession” architecture. 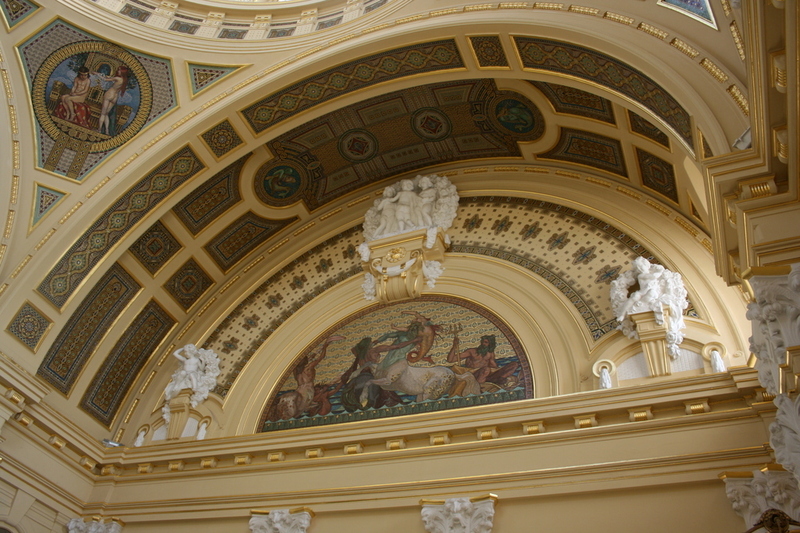 The windows of its great hall – ten in all – were designed by Miksa Róth around scenes from The Death of King Buda, an epic poem by Hungarian literarian János Arany. At the back of the entrance hall is a statue of Venus by Adolf Huszár. 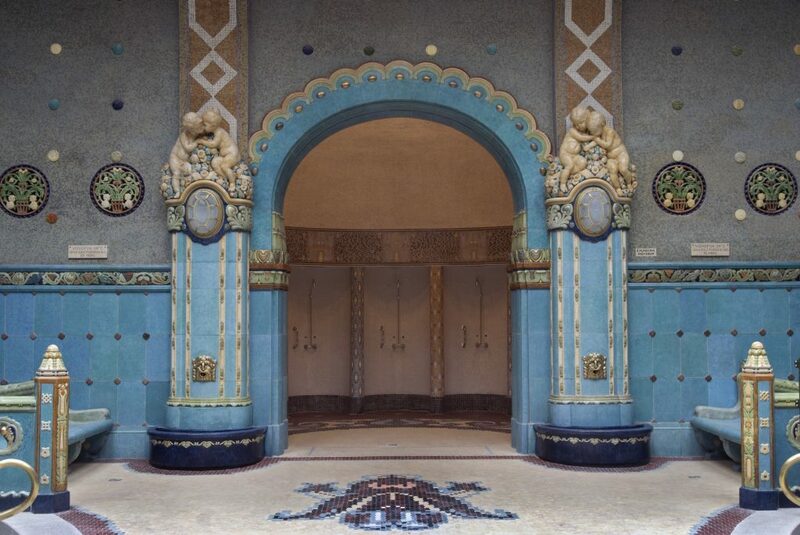 Both the men’s and the women’s areas of the complex are decorated in Zsolnay porcelain. The earliest written records of “miraculous springs surging forth” from the territory where the Gellért now stands date to the 15th century. The waters were a favourite of the Ottomans, who found them both warmer, and more abundant than those of other baths in Buda. During the 17th century, the bath went by the name Sárosfürdő, or Mud Bath, due to a fine silt born from the depths of the spring that settled on the bottoms of its pools. 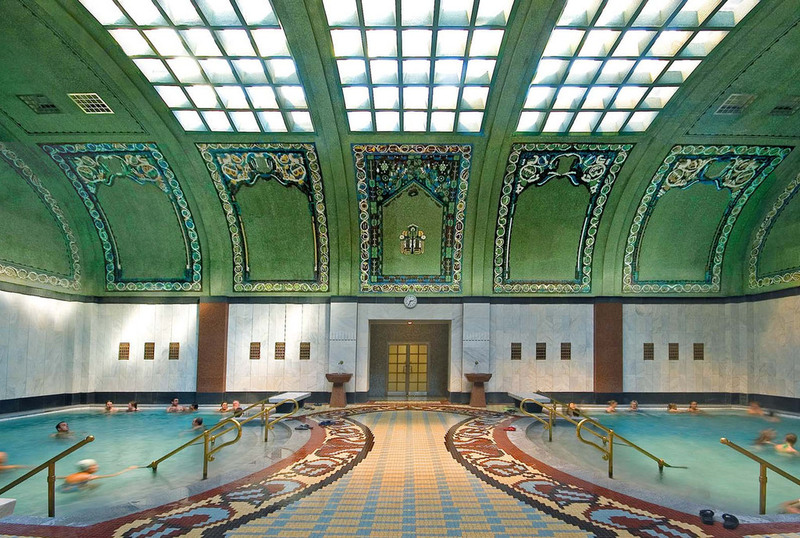 The Gellért Medicinal Bath and Hotel first opened its doors in 1918, adding an adjacent outdoor area with a wave pool in 1927 and a Jacuzzi in 1934. 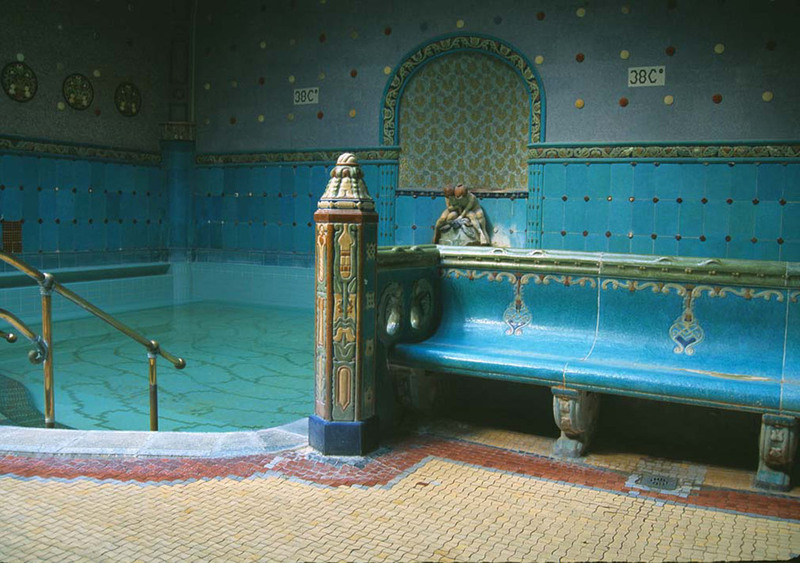 The bath’s thermal water is drawn from a catchment constructed around natural springs within the heart of the mountain and contains sodium, calcium, magnesium, hydrogen carbonate, sulphate chloride, and significant traces of fluoride ions, making it singularly suited to the treatment of degenerative articular diseases, spinal maladies, chronic and subacute joint inflammation, spinal disc complaints, neuralgia, constricted blood vessels, and other circulatory disorders. The Gellért additionally boasts an inhalatorium, used to alleviate asthma and other chronic bronchial complaints. The bath has been coeducational every day since 2013, with five interior thermal pools and two immersion pools, and a swimming pool for those with sporting ambitions or a need for exercise. The open-air section offers both a wave pool, and an additional thermal bath. 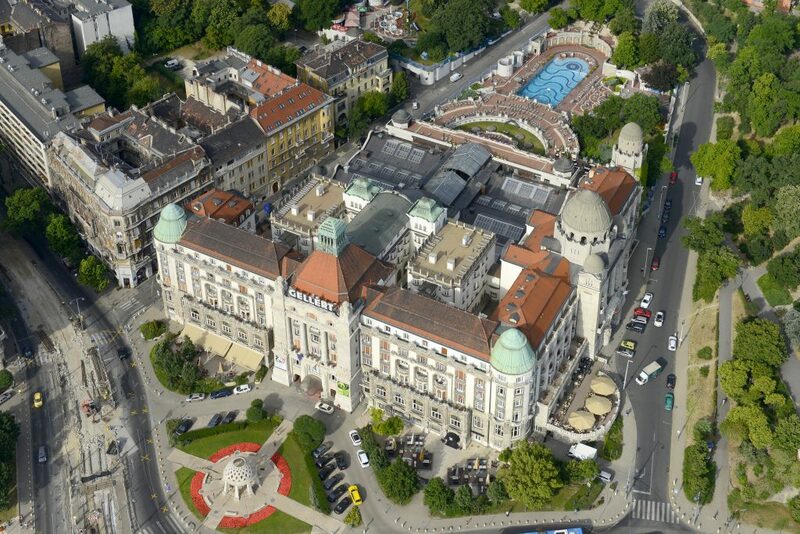 Today, the hotel and the medicinal bath are operated by two different companies: the Danubius Hotel Gellért itself by Danubius Zrt. and the bath, swimming pool, and clinic by Budapest Gyógyfürdői and Hévizei Zrt. 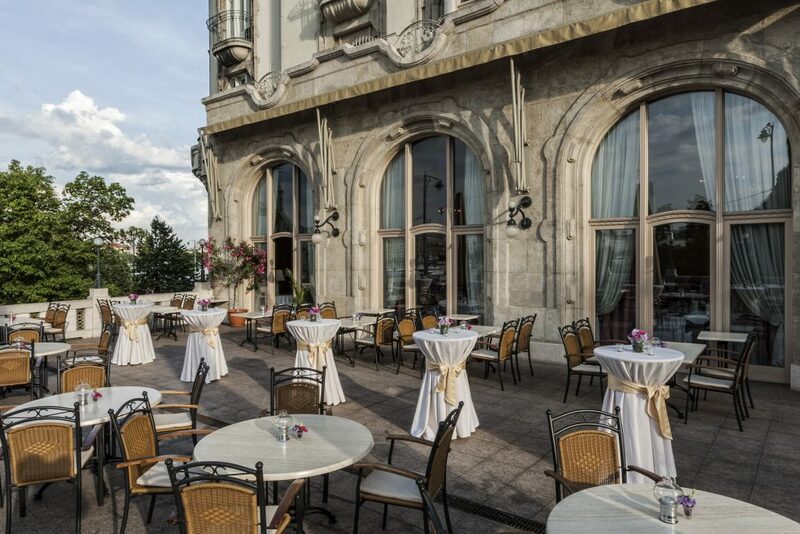 Guests of the Danubius Hotel Gellért enjoy a 50% discount on admission to the Gellért Spa, while those seeking treatments and massage services only may forgo purchasing a day pass to the full bathing complex. Adverse reaction! On the fifth or sixth day of treatment, some bathers may experience clinical deterioration, headaches, fatigue, or elevated pain. 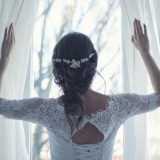 Such symptoms will generally subside following the omission of one or two sessions, in which case the course may be continued. Adverse reactions are not inevitable, but are more frequent with waters that are warmer or higher in mineral content. The baths should not be used by those with irregular or abnormally fast heart rate, coronary artery disease, insufficient heart function, high blood pressure, or advanced arteriosclerosis, or during the three-month period following a heart attack. Therapeutic bathing should not be prescribed to individuals with acute inflammation or who are in the advanced stages of certain other illnesses, including acute locomotor or systemic diseases (tonsillitis, gastritis, gastro-enteritis), colds, flu, or acute multiple sclerosis. 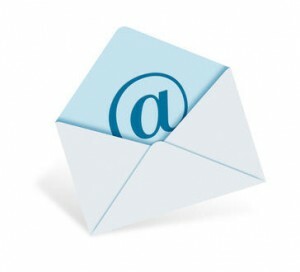 Arthritis sufferers should not bathe while symptoms are present, i.e. when joints are swollen. 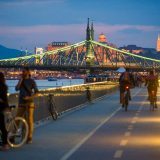 Looking for amazing weekend and short break deals to Budapest? 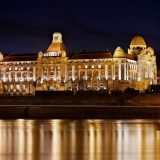 Check out our Best Budapest City Break deals!